No flag can claim the high seas, but many nations exploit them. 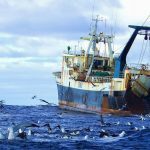 As a result, life in the two-thirds of the oceans beyond any country’s territorial waters faces many threats that are largely unregulated, including overfishing and the emerging deep-sea mining industry. Ransom-hungry pirates, polar explorers, offshore oil giants – the race for the riches of the world’s final frontier is on. 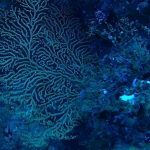 From Thailand to Alaska, the battle to tap ever-dwindling resources from minerals to fish is spurring new conflicts over who has the right to the treasures of the deep seas. 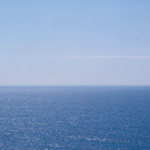 Continue reading The final frontier: who owns the oceans and their hidden treasures? 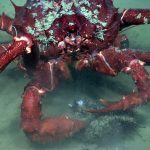 Meeting in New York, London lay groundwork to protect vast ocean areas beyond national jurisdiction. 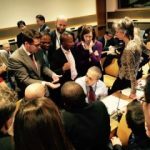 A landmark resolution was adopted earlier today by a consensus of UN member states, to develop a legally-binding treaty for the conservation of marine life beyond national territorial waters – that area of the ocean shared by all. Resolution UNGA 99/292 formalizes the recommendations made last January by the UN Ad Hoc Open-ended Informal Working Group (“UN Working Group”) which was tasked with assessing the feasibility of a new treaty, and signals a major step forward toward convening an intergovernmental negotiating conference that would finalize the terms of the new treaty, possibly in 2018. 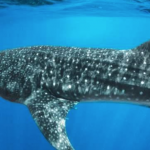 States took a major step toward urgently needed ocean protection at the UN today agreeing to develop a legally binding agreement to conserve marine life in the high seas. 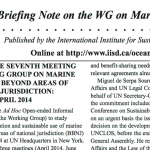 The seventh meeting of the Ad Hoc Open-ended Informal Working Group to study issues relating to the conservation and sustainable use of marine biological diversity beyond areas of national jurisdiction (BBNJ) convened from 1-4 April 2014 at UN Headquarters in New York. The DSCC spoke during the Plenary Session entitled Improving Governance of Marine Areas Beyond National Jurisdiction: Development of Management Options during the final day of the Fifth Global Conference on Oceans, Coasts, and Islands held at UNESCO Headquarters in Paris, France 3-7 May 2010. 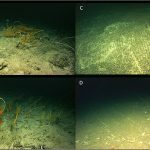 Since our last update in April, there is much to report with regard to protection of biodiversity in deep-sea ecosystems on the high seas. To name a few highlights: NAFO agreed on measures to implement provisions in the UNGA Sustainable Fisheries Resolution (61/105) on high seas bottom fishing; the 9th Conference of Parties to the Convention on Biological Diversity endorsed scientific criteria that will be important for establishing marine protected areas in the high seas; the FAO has published an updated draft of the international guidelines for managing deep-sea fisheries and the high seas (to be finalized in August); and countries are beginning to implement interim measures in the South Pacific. The DSCC is encouraged by progress in some areas towards meeting the obligations set out in 61/105, though the devil will be in the implementation details.